Starting in August, we are kicking-off a brand-new, bi-weekly series of blog articles called, Your Lupus, Your Body. Each blog article will highlight how lupus can and does affect different aspects of the human body. Though the focus will be on anatomy and the latest research in that field, the information will also include personal and practical knowledge, including ways to recognize when you should seek medical help and understanding some of the available diagnostic and treatment options. 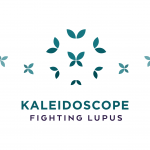 We take knowledge seriously at Kaleidoscope Fighting Lupus, and we hope this blog article series adds to your lupus toolbox! As we begin our new series of blog articles on lupus and the body, we are bringing back a topic by popular demand – lupus and the lungs! So, here is an updated version of that article with added depth and breath … I mean breadth! Please let us know what other topics you would like to see in this series. Before continuing to read the rest of this blog, however, take a deep breath! Allow your lungs to fill with air and breathe out slowly. What do you feel? Most of us barely notice our lungs at all, and unless the air is very cold, full of smoke or dust, or unless we are short of breath due to exercise, we ignore them. That is, we can ignore them if our lungs are healthy. Those with respiratory disease do not have that luxury. For those of us living with lupus, there are symptoms that are commonly expected, such as rashes, photosensitivity, rheumatism, and fatigue. Shortness of breath and chest pains are usually not on that list, but since lupus can affect the lungs just as it can affect other internal organs, these symptoms should not be ignored. Lupus can trigger a number of pulmonary conditions that require immediate medical attention. In the same way that lupus can cause inflammation of the joints, it can also cause inflammation of the lining that covers the outside of internal organs, the serosa, such as the heart and the lungs. This is called, serositis. In the lungs, this condition opens the door for a variety of other uncomfortable and potentially life-threatening conditions if left untreated. Many individuals with lupus will suffer from pleuritis which occurs in the presence of serositis. Symptoms of pleuritis include worsening pain with each deep breath and the potential for fluid buildup within the lungs. Treatment includes NSAIDs, steroids, and/or antimalarials. Pneumonitis can appear similar to infectious pneumonia Instead of being caused by a bacteria, however, pneumonitis is caused by the immune system attacking itself. Symptoms may include inflammation of the lungs, fever, shortness of breath, and coughing. Treatment includes high-dose steroids, and/or immunosuppressive medications. If lung inflammation becomes chronic, it can lead to the scarring of lung tissue. Scarred tissue prevents the normal flow of oxygen to occur within the lungs into the bloodstream and hence, chronic diffuse interstitial lung disease can occur. Symptoms may include chronic dry cough, chest pain, and difficulty breathing during physical activity. Treatment includes corticosteroids, immunosuppressive medications, and/or sometimes stomach-reducing medications such as Prevacid, Prilosec, etc. Typically affecting mostly middle-aged women, subacute interstitial lung disease may occur. Symptoms include those similar to ALP and chronic diffuse interstitial lung disease, including a general feeling of malaise. Treatment includes high-dose corticosteroids, antibiotics, inhaled oxygen, and/or immunosuppressive medications. When experiencing inflammation of the lungs, blood clots may form. These clots can block the arteries that lead to the lungs. Symptoms may include chest pain, shortness of breath, and a decrease in oxygen flow in your lungs. A condition that may go undiagnosed until symptoms occur, antiphospholipid antibody syndrome is a disorder in which the body produces antibodies against normal blood proteins, increasing the potential for blood clots to occur. Symptoms include the presence of blood clots anywhere throughout the cardiovascular and pulmonary systems in the body, pregnancy complications, miscarriage, sudden heart attack, and even stroke. Treatment includes blood thinners, daily baby aspirin, and/or hydroxychloroquine. Already at greater risk of developing infection, individuals with lupus may be more susceptible to developing any of several common respiratory infections such as bronchitis, pneumonia, and even tuberculosis. Though rare, hemorrhage can occur within the lungs, specifically within the alveoli, the air compartments within the lungs. Symptoms may present themselves similarly as any of the conditions above and may also include sudden onset anemia. Treatment includes corticosteroids, immunosuppressive medications, and/or a combination of the following: plasmapheresis treatment, cyclophosphamide, rituximab, and/or mycophenolate mofetil. Pulmonary hypertension often presents itself in those who also suffer from disorders that affect connective tissue such as scleroderma. Symptoms include high blood pressure, which occurs within the lungs. Treatment includes corticosteroids, immunosuppressive medications, and/or – if the condition is not due to active lupus, FDA approved drugs for pulmonary hypertension. Some individuals may find themselves experiencing this somewhat rare and poorly understood pulmonary condition; since the diaphragm seems to be affected, it is thought that this condition is the result of the weakening of the muscular structure of the diaphragm. Symptoms include feeling breathless and the inability to breathe deeply. Treatment includes corticosteroids and/or immunosuppressive medications. While some conditions may be unavoidable, there are steps you can take that could potentially decrease the severity of symptoms or possibly even prevent some from happening. Know your body; being able to know your body well enough on a good day as opposed to an “off” day may be your best indicator for knowing when to seek medical attention. Keeping healthy in the best way you can will always serve you well as you mitigate your lupus symptoms and conditions. Practicing self-care is your best first defense and offense for experiencing more good days than bad. Avoid smoking. Smoking can raise blood-pressure, slows blood flow, and increases vulnerability to infection. Exercise! Even if you can’t find a solid block of time to set aside each day to focus on exercise, there are a number of things you can do daily to keep fit and keep your blood flowing. Take the stairs at work; walk on your lunch hour; take short 10-minute breaks to stretch, do downward facing dog, or play with a stretchy band; sign up for the gym at work to walk the treadmill or ride the recumbent bike; walk with a coworker or friend even if only around your office suite several times a day. Play hide-and-seek with the kids on a warm summer night! Of course, do not exert yourself to the point of becoming weak or putting yourself in line for a lupus flare. Obtain and maintain a healthy weight. Keeping active and eating right will not only make you look great, but more importantly, FEEL great! Eat healthy foods; pack your own lunches instead of relying on work cafeterias and vending machines for meals and snacks; carry healthy snacks with you in the car to share with the kids; avoid fast foods and high-fat, high-sugar meals – even one trip a week through the drive-through can cumulatively have lasting results. Keep stress in check. Meditate; do gentle yoga or Pilates; practice tai chi; engage in fun and relaxing hobbies. While this isn’t always possible, when you can, try to avoid engaging in potentially stressful situations and discussions. Know when you need a little extra intervention during particularly trying times and establish a relationship with a mental health practitioner or religious advisor whom you trust. Grow a strong support group of family and friends who you can turn to when you need a little advice, someone to listen, or even a hug. Remember that deep breath at the beginning of this blog? Feel free to take another one now that we have finished reviewing some respiratory terminology and conditions associated with lupus. By learning more about the anatomy behind lupus and your lungs, we hope that you will gain a greater understanding of yourself so that you can become your own best advocate! Thomas Jr., D.E. (2014). The lupus encyclopedia: A comprehensive guide for patients and families. Baltimore, MD. Johns Hopkins University Press. Liz Heintz is a technical and creative writer who received her BA in Communications, Advocacy, and Relational Communications from Marylhurst University in Lake Oswego, Oregon. She most recently worked for several years in the healthcare industry and has a family member with lupus. A native of San Francisco, California, Liz now calls the beautiful Pacific Northwest home.